Rail services between Milton Keynes and London Euston have been suspended following a fire at a timber yard in north London. The London Fire Brigade say they agree with Mary Berry that no households should have a deep fat fryer. Four-year-old Tommy Simpson was diagnosed with leukaemia last month and has been in hospital since Christmas. 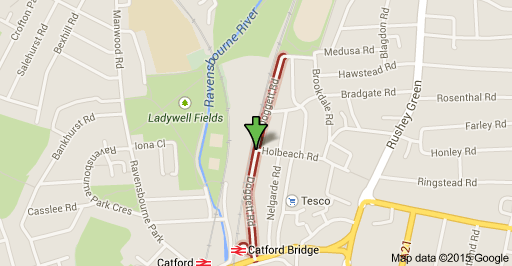 Eight fire engines and 58 firefighters are currently tackling a fire at a pub under refurbishment on Doggett Road in Catford, London Fire Brigade said. Firefighters led four people to safety from the building who were taken to hospital suffering from smoke inhalation but there were no reports of any serious injuries. Most of the roof, half of the second floor and part of the first floor of the building is reportedly on fire. Firefighters from Greenwich, Lee Green, Bromley, Forest Hill, Lewisham, Bromley, East Greenwich and Orpington fire stations are at the scene. 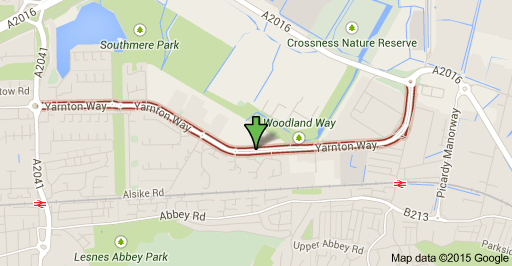 A fire at a warehouse in Erith is now under control, London Fire Brigade said. "Fire crews worked hard to bring this under control," station manager Norman Perry said. 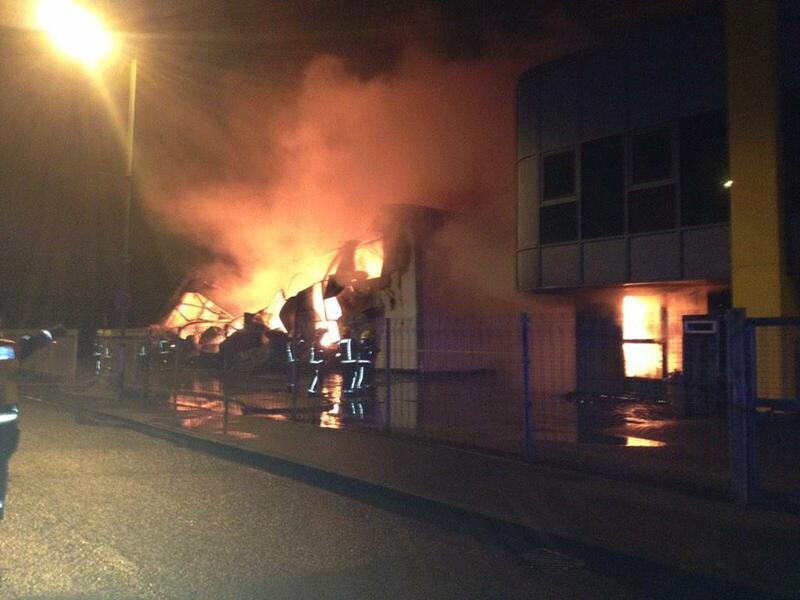 "The blaze was in an industrial area and we managed to stop it spreading to any residential homes. "We are likely to be at the scene throughout the morning damping down pockets of fire." London Fire Brigade said it is still working hard to control a large blaze at a warehouse in Erith and has advised people nearby to keep doors and windows closed. 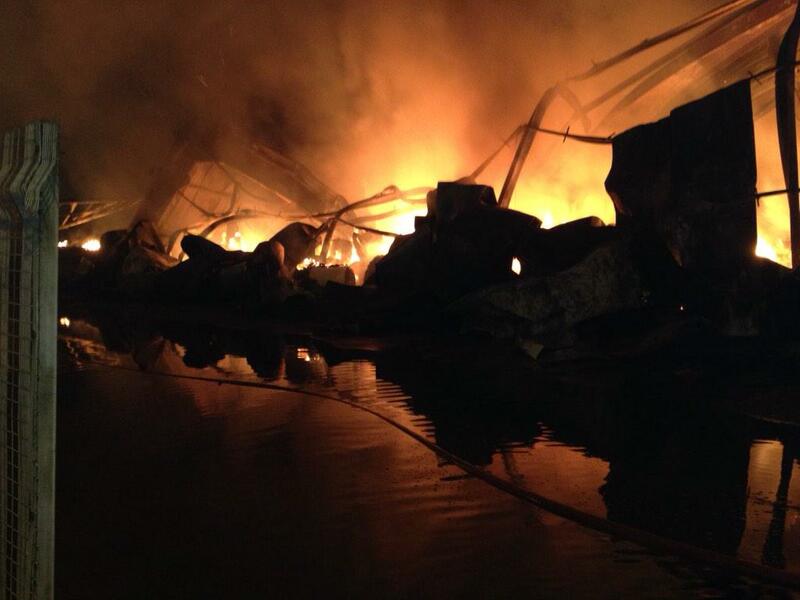 Almost 100 firefighters have tackled a large blaze at a warehouse in London. London Fire Brigade said 15 fire engines and around 97 firefighters were dealing with the blaze at the industrial area at Yarnton Way in Erith. The service said the blaze can be "seen from miles away" and advised residents to close doors and windows due to the smoke.